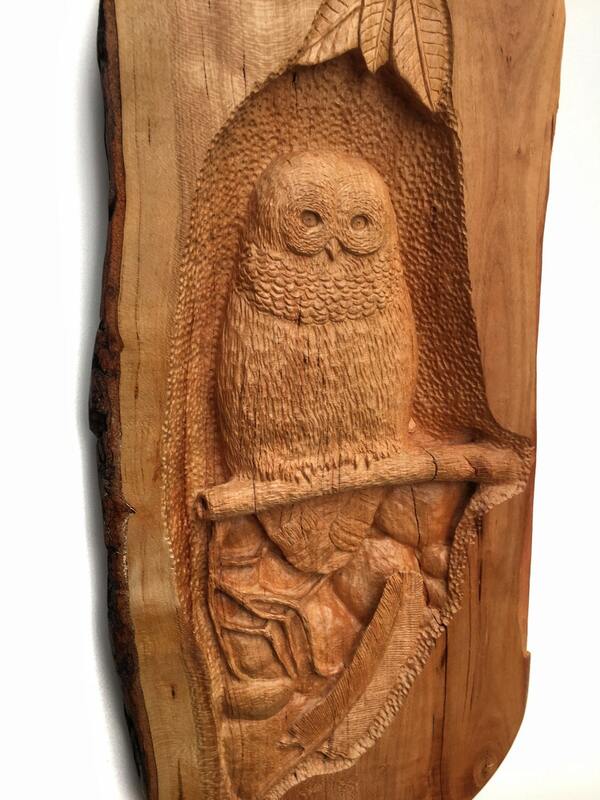 This is a wood carving of an owl in Cherry wood. I hand carved this sculpture that hangs on the wall. It will make a perfect wood gift for him or her. 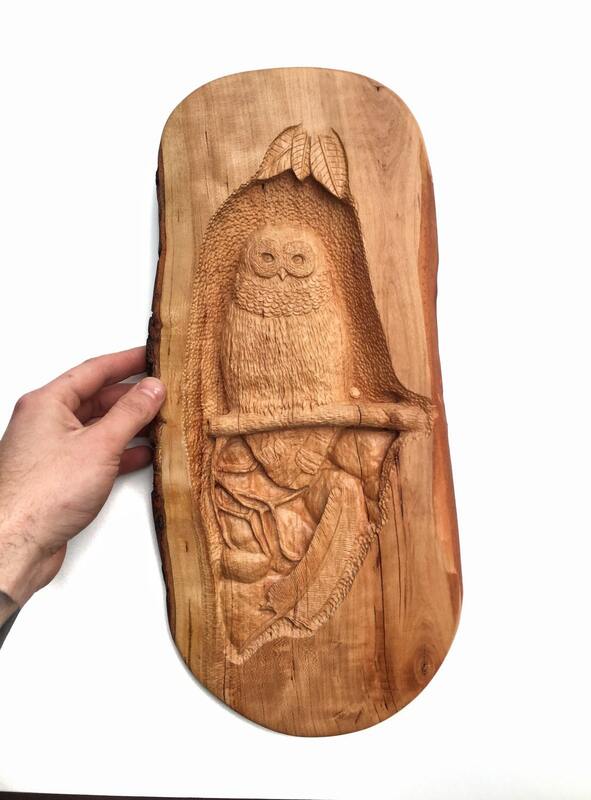 This wood carving measures 16 3/4" tall, 8" wide and 1" thick.. 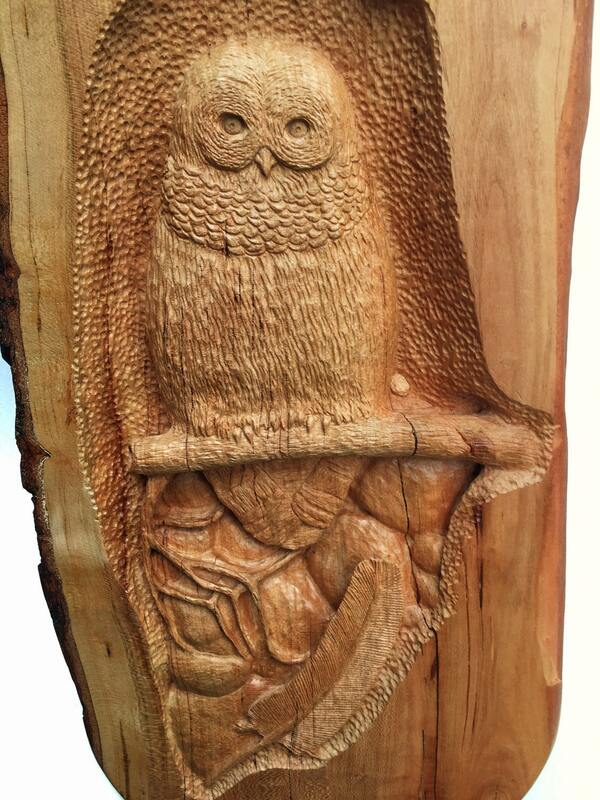 I will be glad to engrave something on the back of this carving if you'd like. Something like, "I love you 1/15/84", or "Happy Anniverary! ", etc. I will engrave the back, free of charge, as long as it is fairly short. 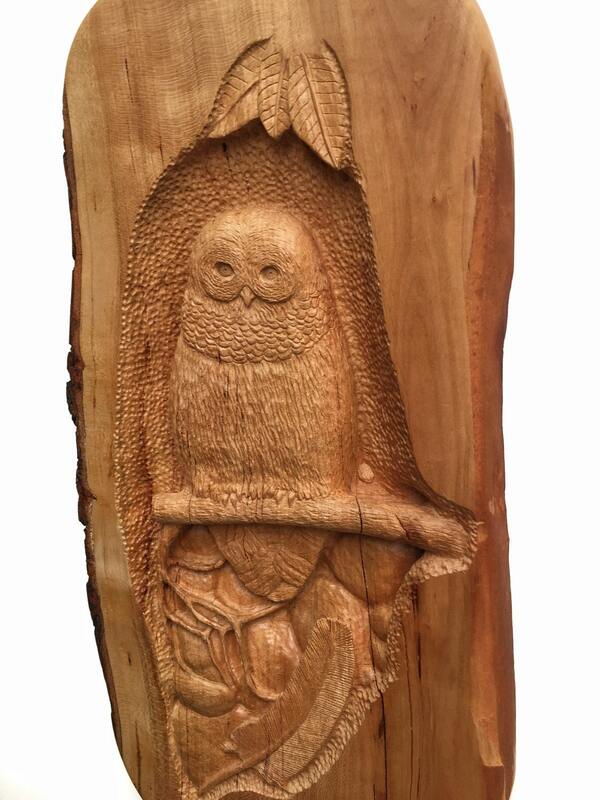 Please let me know, as a note, what you would like engraved when you purchase the carving. This style of carving is called relief. Relief carving is the process of turning a flat object into something that looks dimensional. I began this sculpture with a Cherry board and an original drawing. Once I drew the design onto the wood, I began carving using various cutters to remove different amounts of wood. Once I completely shaped the piece, I sanded and sanded and sanded :) I finished this carving with 3 coats of spray urethane. Everything in my shop is made by hand, by me, Josh. I don't have any elves or helpers. I am in charge of the carving, shipping, listing, packing, communication and everything in between. When you buy from me, you will be dealing directly with me. SHIPPING IS INCLUDED IN THE PRICE OF THE CARVING TO THE USA! Please contact me for international shipping. 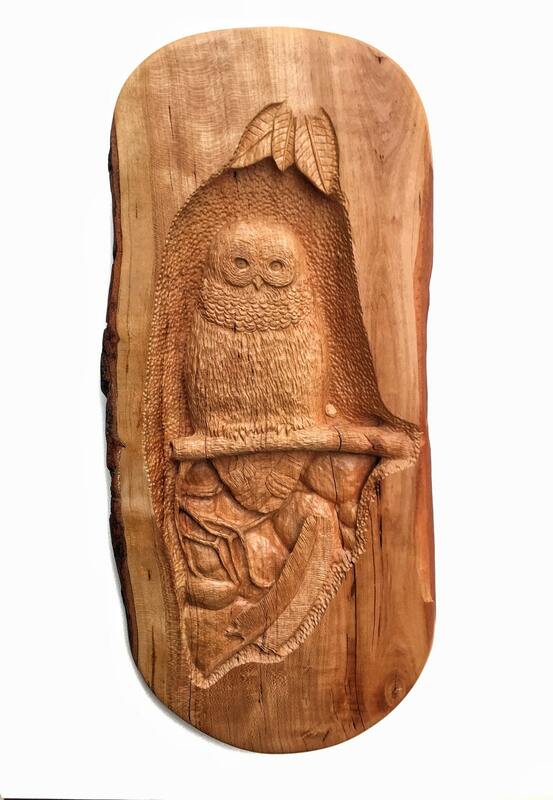 I will ship this carving via USPS Priority and it should arrive anywhere in the United States in 1-3 days. Please contact me with any questions here, carpcuts [!at] live.com or 740-385-4487. You can check out more of my work on Facebook (Josh Carte) or in Instagram @JoshCarteArt. Thanks so much!